HomeToGo, the world’s largest search engine for holiday homes, apartments, villas and cottages, has in a publication recommending top Summer destinations for Brittish travellers and has placed Ghana as the 4th recommended trending destination. Need some summer holiday inspiration? HomeToGo has just released its top 10 trending destinations for British tourists this summer. Nature holidays and eco-tourism destinations are big trends for summer 2019. British travellers are increasingly environmentally conscious and are seeking out more meaningful and memorable travel experiences rather than traditional beach holidays. Want to get ahead of the trends? Find out the top 10 up-and-coming destinations below, and start planning your dream holiday now! Bora Bora is our #1 trending destination for summer 2019 – and it’s easy to see why. This beautiful volcanic island in French Polynesia offers total peace and relaxation, with its crystal-clear lagoon, lush landscapes and luxurious holiday properties. For the ultimate Bora Bora experience, stay in one of the island’s overwater bungalows, surrounded by the turquoise ocean, with a glass floor giving you a window directly onto the marine life below. The name Bora Bora comes from the Tahitian for ‘created by the gods’ – a fitting title for this little piece of paradise. They’re known as a luxury destination, but the Maldives also offer some more affordable holidays, and they’re attracting more and more British tourists. The main way to get around is by boat, so you’ll have plenty of opportunities to take in the gorgeous ocean views. The Maldives is one of the world’s best diving and snorkelling destinations, with turtles, manta rays and even whale sharks, the largest fish in the ocean! They also have a fascinating culture, with Indian, Arabic and Sri Lankan influences – people might go primarily for the beautiful beaches, but the colourful capital city of Malé is definitely not to be missed. This island paradise is one of the world’s most biologically diverse areas: it’s home to thousands of animal species found nowhere else in the world, such as the famous Madagascan lemurs. Its tourism sector is still relatively underdeveloped, but rapidly growing in popularity, with more and more eco-tourism opportunities available. Take in its unique landscapes, explore the lush rainforest of the Analamazoatra nature reserve, and go diving and whale-watching in the Indian Ocean. 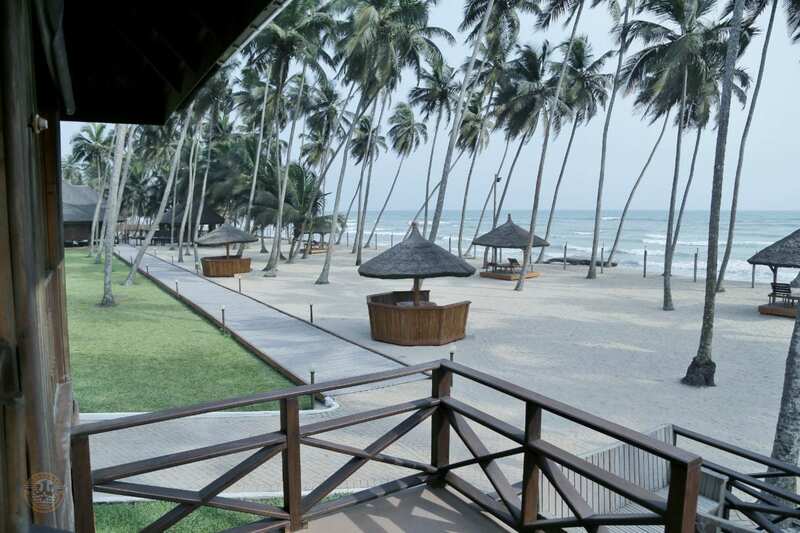 Near the coast, the bustling capital city of Accra has a thriving art, dance and theatre scene. Street food is a huge part of Ghanaian cuisine, so exploring Accra’s food stalls and markets is a can’t-miss experience! If you can look beyond the headlines about the country’s political unrest, you’ll discover that Zimbabwe has so much to offer! The growing numbers of British tourists heading there this summer will find a warm, welcoming culture, spectacular landscapes and wildlife, and great eco-tourism opportunities. Go hiking in the beautiful Eastern Highlands, take a sustainable safari in one of the huge national parks, or explore the ruins of the mediaeval Kingdom of Zimbabwe, one of the biggest civilisations in pre-colonial Africa. It’s long been famous (or notorious?) as a spring break destination for American students, but Miami’s stunning beaches and wild party scene are also attracting increasing numbers of British tourists. But Miami Beach isn’t just about the hedonistic lifestyle – there’s also a thriving art scene, and you’ll love exploring the historic Art Deco district, with its beautiful 1920s architecture. Florida’s delicious Cuban-influenced food, glorious weather and laid-back atmosphere make for the perfect relaxing holiday. For those who prefer a fun city break to lying on the beach, Toronto is the place to be this summer. This dynamic, modern city offers fantastic nightlife and culture – the Art Gallery of Ontario here is the largest in Canada. Vogue even named its trendy Queen West district – full of artists’ studios, hipster cafés and vibrant street art – one of the coolest neighbourhoods in the world! Canada’s freezing temperatures might be hitting the headlines now, but its climate in summer is the opposite, with comfortable mid-twenties temperatures and plenty of sunshine. Nestled in the heart of Europe, Slovakia may not offer beaches, but there’s more than enough to make up for it. Once you’ve floated in its luxurious hot springs, we can promise you won’t miss the beach at all! Slovakia’s mountains are great for hiking; its dramatic landscapes are full of eerie caves, towering waterfalls and lush forests dotted with fairytale castles. The historic cities of Bratislava and Košice are also big draws for British tourists, with stunning Gothic and Baroque architecture. Forget Mexico – this summer, Belize is the place to be. Located on the eastern coast of Central America, it’s the only country in the region with English as an official language, so no wonder British tourists are keen to visit! It offers stunning and diverse natural scenery, from dense rainforest inland to the largest barrier reef in the Northern Hemisphere, and spectacular ruins from the pre-colonial Mayan civilisation. Its delicious and varied cuisine – with Mexican, Caribbean, Mayan and African influences – is also a highlight. HomeToGo offers the widest collection of the most popular providers of holiday rentals for our users. Whether for a big family holiday or a quiet romantic getaway, HomeToGo finds the perfect holiday property for every occasion. HomeToGo offers the best vacation accommodations all on one website, allowing you to compare prices for rentals from more than 600 providers in over 200 countries. Once you’ve found your dream rental, simply click on the link to be redirected to our partner’s website and complete the booking.